Sunday School for all ages. We have classes that are divided by age group to systematically study the Bible. These classes bring out God’s truths in ways that are interesting and appropriate for the individuals in class. 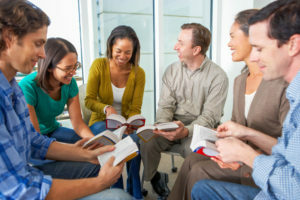 Interaction among classmates is a key element so that all can arrive together in understanding God’s word in a way that is applicable for our lives. A warm reception for all is our purpose as we ”Experience God-Experience People”. Community projects to better serve the people around us are part of our outreach.